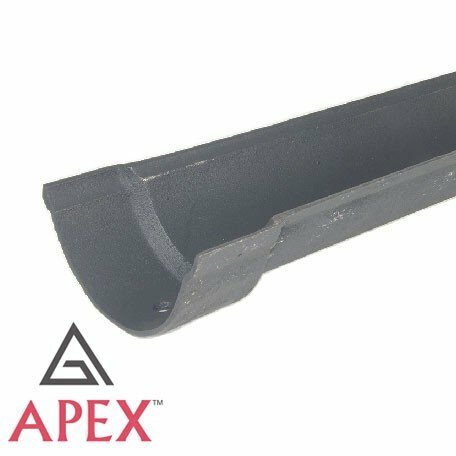 A traditional 4.5" (115mm) beaded half round cast iron gutter 6ft (1.83m) long. Supplied in transit primer for on-site painting. Made to British Standard BS460 the system uses a traditional socket and spigot jointing method making it ideal for refurbishment projects. The gutter system can be jointed using Rainclear's patented 'Hydrostrip' gutter sealing system or by applying low modulus silicone sealant and fitting together using M6 x 25mm bright zinc plated nuts, bolts & washers. See installation instructions.